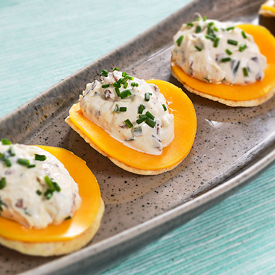 This is the second of my cream cheese and sour cream appetizers that I created for a group of friends. (Here is the first.) This time, jalapeño and bacon are the star ingredients and a tortilla chip with a slice of cheddar cheese is the method of delivery. 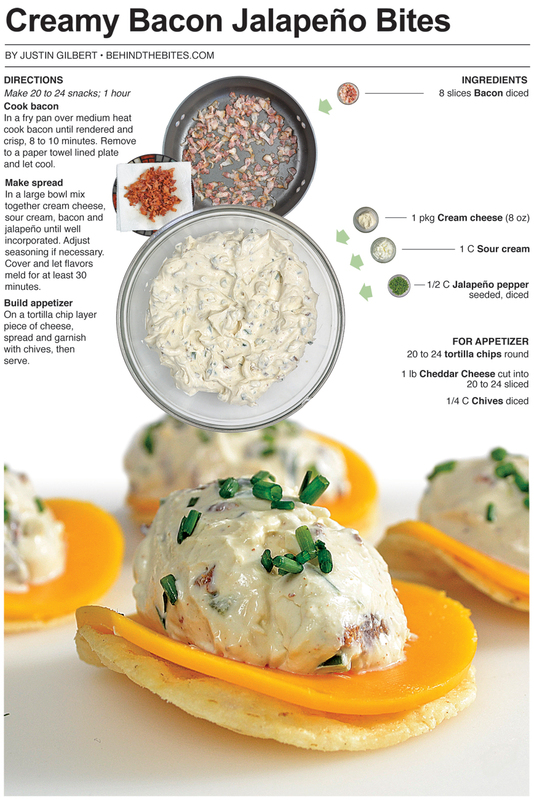 This appetizer was inspired by the jalapeño popper and features many of the same items found in the popular bar snack. This was my favorite of all the little treats I put out for the gathering. Bacon makes anything great but when combined with jalapeño and cream cheese the salty and smoky flavor really stands out. Next time I need appetizers for a party I’m going to start with this and go from there. For the presentation of this treat I cut out a round piece of cheese that fit perfectly over the tortilla chip. Had I not been photographing this I would have just gone with a square piece of cheese. More and more I find myself doing things to the food for the sake of a good photograph that I wouldn't normally do. Everything is still edible though, I haven’t resorted to half-cooked pasta or near raw steaks with sear marks from curling irons yet. Although, I would consider it for the right amount of money! In a fry pan over medium heat cook bacon until rendered and crisp, 8 to 10 minutes. Remove to a paper towel lined plate and let cool. 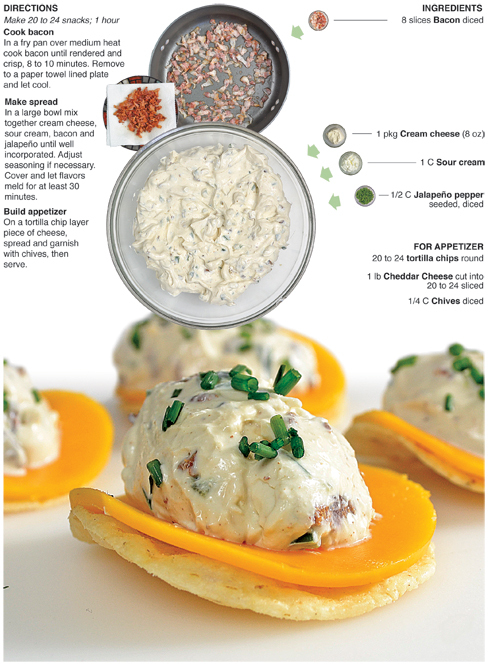 In a large bowl mix together cream cheese, sour cream, bacon and jalapeño until well incorporated. Adjust seasoning if necessary. Cover and let flavors meld for at least 30 minutes. 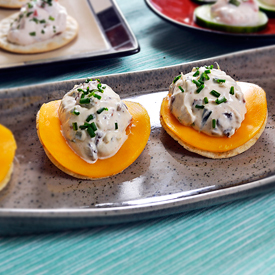 On a tortilla chip layer piece of cheese, spread and garnish with chives, then serve.